Hello again. 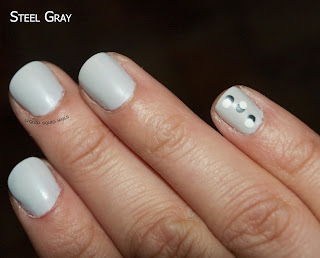 Today i wanted to showcase my lovely steel gray nails. 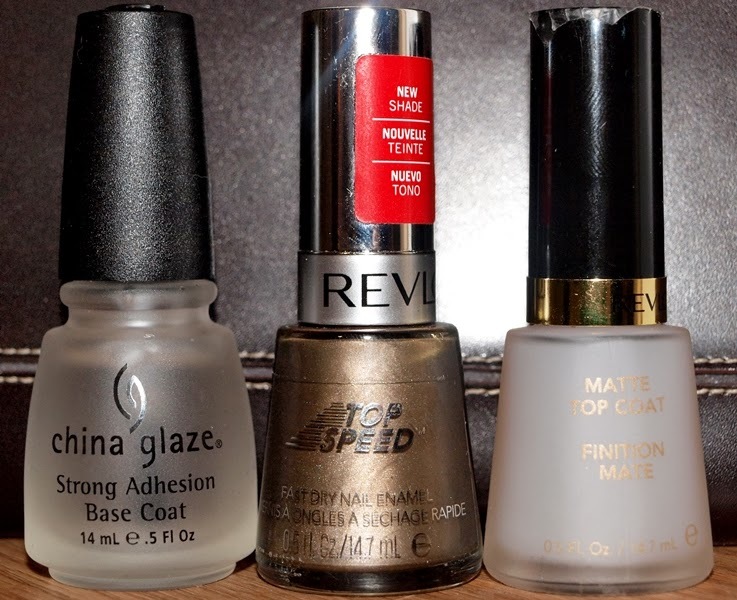 They did not start out this way but with the help of Revlon Matte Top Coat, steel gray came into existence. 2. Used white polish, applied 1 dot on either side of black. 3. LET black dots DRY completely, to avoid streaking, before adding the white dots. So far my nails have lasted 3 days with no chipping at all! I am noticing the matte effect wearing off on one of my hands, the more dominant one. Will just reapply some more and voila!